Satria Agrowisata is a coffee plantation where you can try and buy coffees, chocolates and teas. The place also sells luwak coffee. Why Satria Agrowisata is special ? Satria Agrowisata is a one of coffee plantations in Bali. The island of Bali, Indonesia has number one of coffee plantations. The Dutch colony introduced the coffee bean to the island and exported it worldwide. Long after Bali gained independence from the Netherlands, coffee plantations are still major money makers. They produce coffee for export and double as tourist attractions. 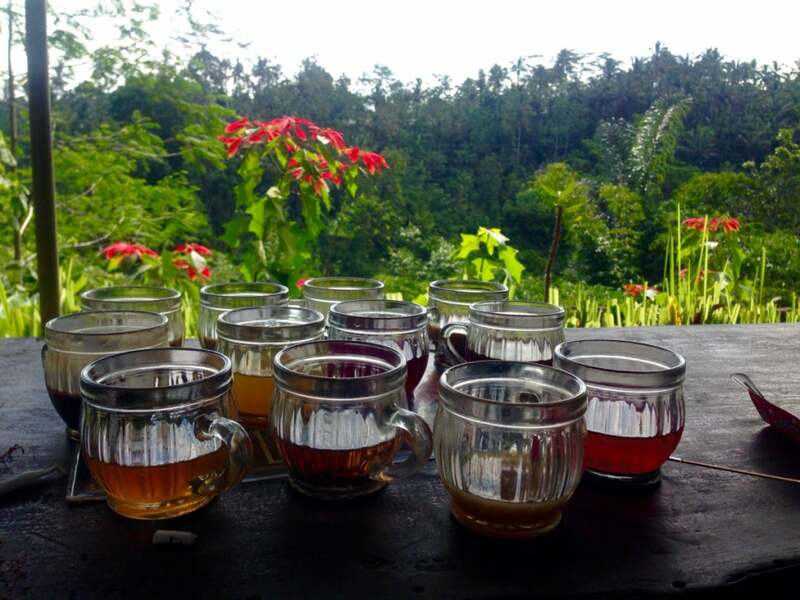 Bali coffee found mostly in the mountain central part of Bali, there are 2 kinds of Bali coffee the farmers grow in Bali is Arabica Coffee and Robusta Coffee. 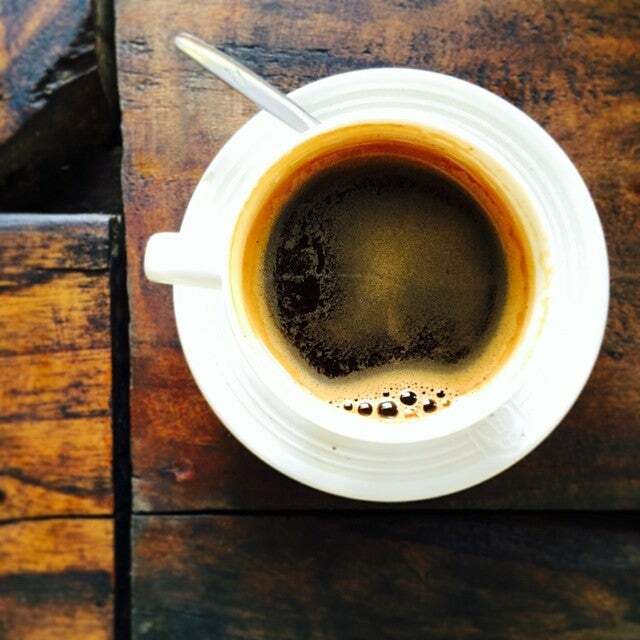 In addtion, Bali is also famous for its Kopi luwak, or civet coffee, is one of the world's most expensive and low-production varieties of coffee. It is made from the beans of coffee berries which have been eaten by the Asian Palm Civet (Paradoxurus hermaphroditus) and other related civets, then passed through its digestive tract. A civet eats the berries for their fleshy pulp. In the digestive tract, the civets' proteolytic enzymes seep into the beans, making shorter peptides and more free amino acids. Passing through a civet's intestines the beans are then defecated, keeping their shape. After gathering, thorough washing, sun drying, light roasting and brewing, these beans yield an aromatic coffee with much less bitterness. This coffee is widely noted as the most expensive coffee in the world with prices reaching $350 per kilogram ($160 per pound). What to explore at Satria Agrowisata? Stroll through the plantations of Satria Agrowisata, Bali, before learning about the production of Bali's famous kopi luwak, or 'cat-poo coffee'. 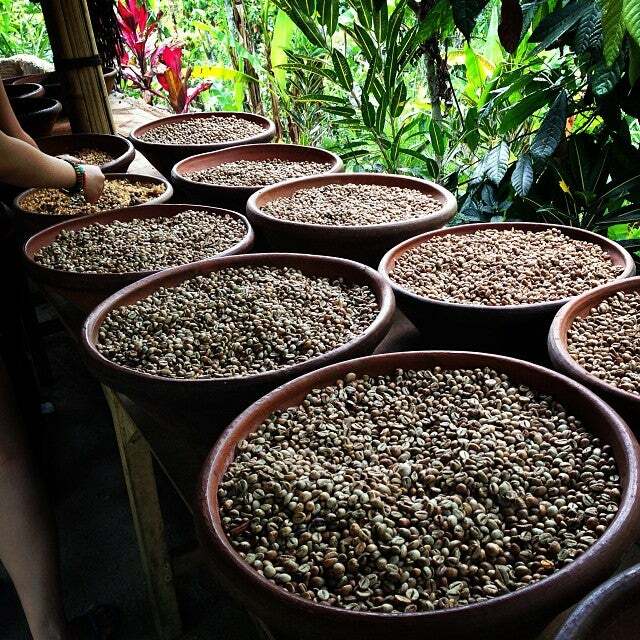 After visiting the plantation, you will relax with a sampling of coffees, including a chance to try luwak, made from (cleaned and roasted) beans that have passed intact through the digestive tract of the civet cat. 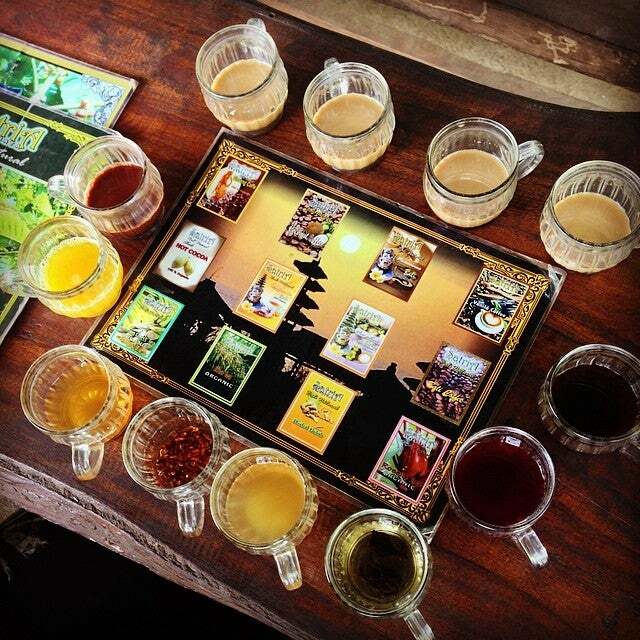 In this place you can try any types of drinks with different flavor that they served you as tester such as Bali coffee, lemon tea, ginger tea, ginger coffee, coconut tea, coconut coffee, choco tea and etc. How to get to Satria Agrowisata? 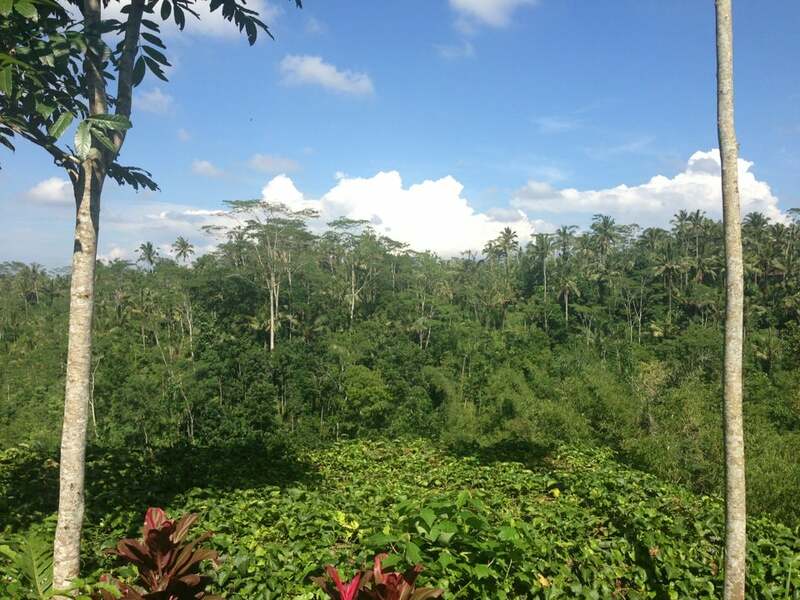 The coffee plantation is located in the north of Ubud, which takes you about 30 minutes driving from Ubud. 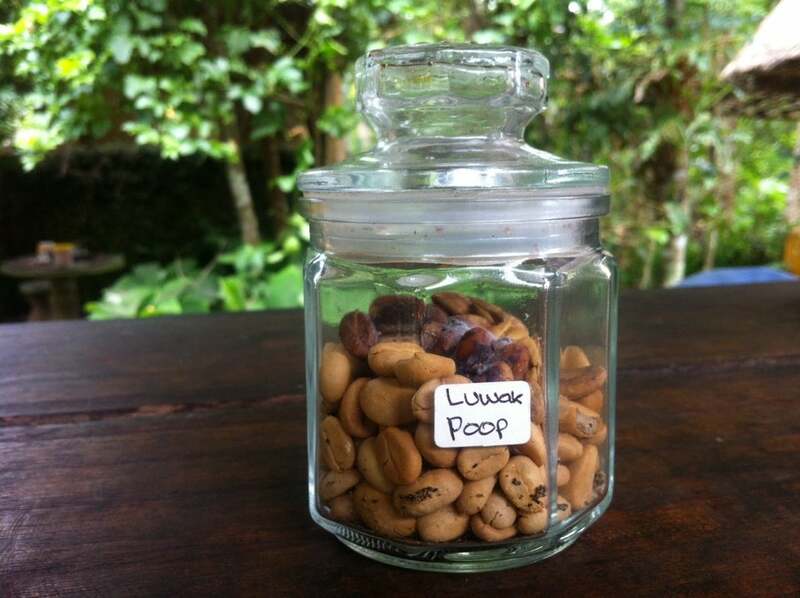 It costs 50,000Rp to try a cup of Kopi Luwak coffee. Coffee Luwak is pretty much just a novelty item to try. Don't miss out on the excellent selection of teas available. They have a store where you can purchase of variety of coffee and tea items. Some staff will explain to you about the coffee process which is very useful and they show you the traditional way of making coffee from grinding and also roasting the beans. You should definitely make a stop here! It seems like a small place, but it's just right, without being a long, hot, cumbersome tour. They still do everything manually there and they are very informative about the process of making coffee. At the end of the demonstration, they bring a tray with 12 generous samples, including 4 coffees and 8 teas. They place them on a mat that shows what each one is and explain the benefits of each one. I seriously dislike coffee, and even liked two of theirs. I was astonished! They make Kopi Luwak there, and claim that the civet cats are wild, not caged. It cost 50,000Rp (less than $5) to try a cup. After you sample, they invite you to shop in their little store filled with coffees, teas, spices, oils, and other items. There was no pressure at all. A very lovely place I'm happy to recommend!